Embark at Bai Tu Long Bay, you will immediately forget all your worries, indulge yourself in the Heaven on Earth because you deserve it. 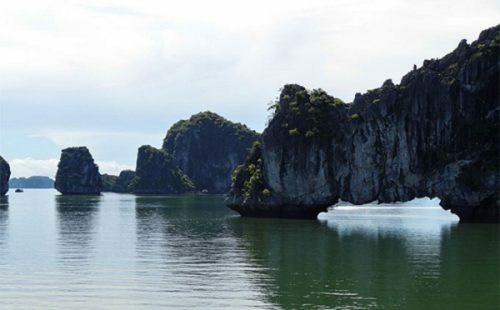 An extraordinary feature of Bai Tu Long Bay in comparison to other tourism sites is that it still remains the pristine of an untouched beauty spot. 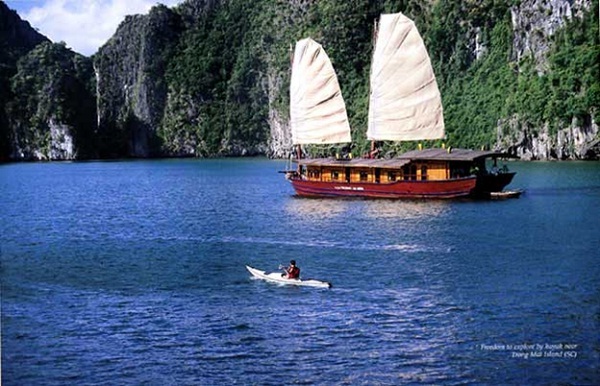 And immerse yourself in a luxury cruise surrounded by fascinating natural beauty is beyond compare. 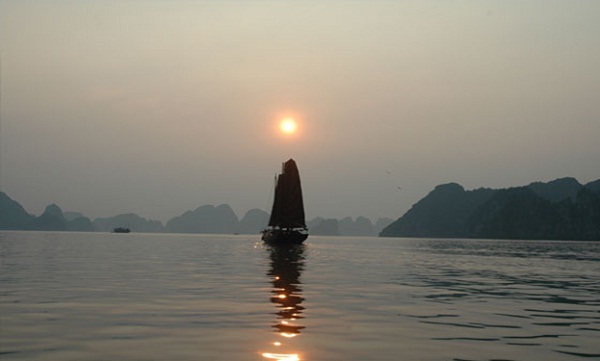 Many of our tourists agree that admiring the sun rise on the bow of a cruise in Bai Tu Long Bay is one of the unforgettable moments in their life. Life, all at once, becomes so fresh and it seems like many beautiful things are waiting for us to enjoy. La vie en rose, as the French may say. 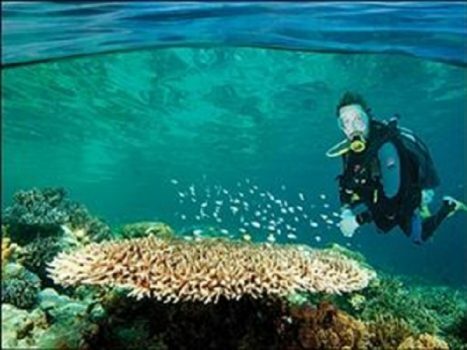 After breakfast, you will be guided to explore the formation of caves, islets in the bay by kayaking or cruising. Mother Nature blesses this bay with amazing formations in each cave and islet, different shapes of stalactites and limestone will definitely leave you in awe. 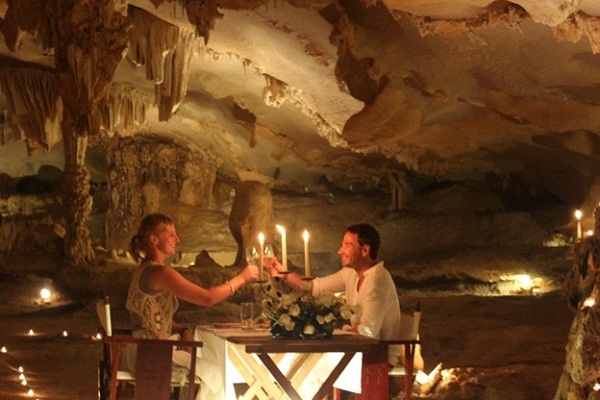 At night, a dinner in cave will be a whole new experience for any tourist. Raindrops in the thousand-year-old cave, ocean breezes, gentle waves, fresh seafood will bring to you a cozy, romantic and extraordinary dinner. 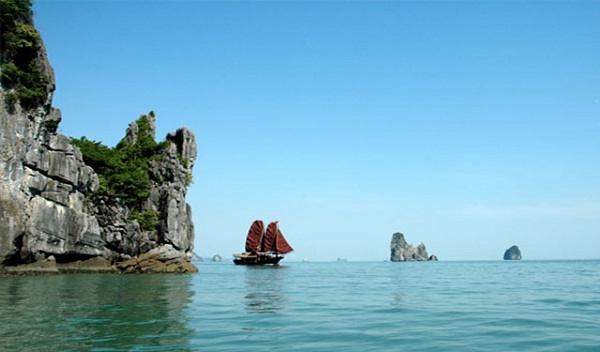 The most important element to create the attraction of Bai Tu Long Bay is its virginity, its unspoiled beauty. 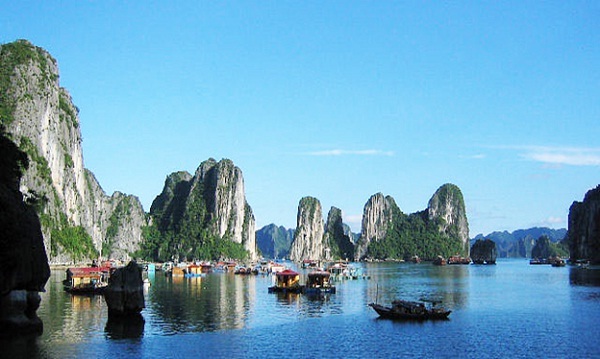 However, we are honored to be the first to legally introduce to tourists all over the world the Heaven on Earth of Tonkin Gulf.